Karen Smith has been training horses for over 40 years. Originally her interests involved dressage and reining training. 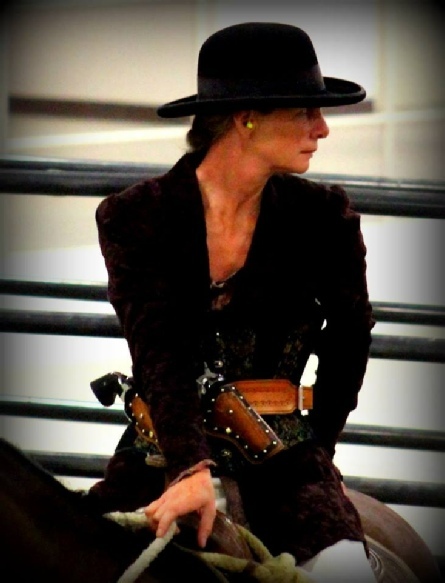 In 2010 Karen and her daughter Cally took four of the Oregon Reining Horse Association Year End Reining buckles, and a 3rd Place national win in Non-Pro Foundation Quarter Horse, the horses were trained by Karen from birth. 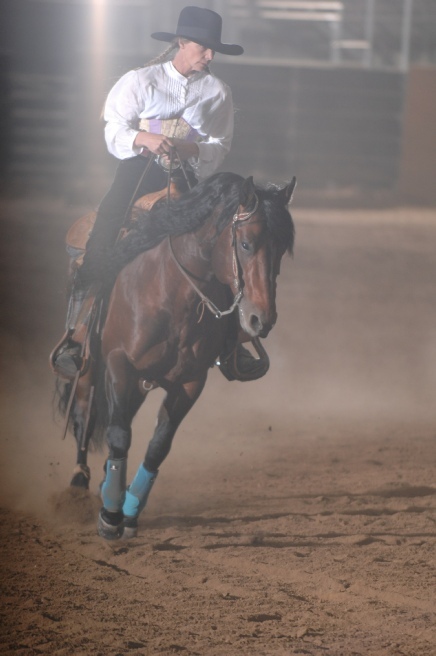 She has taken the lessons learned in those disciplines and applied them to mounted shooting. Her style of riding requires a balanced rider that maintains a frame and is in contact with the horses mouth via the bit to maintain control only. All turning commands are given with the riders seat or legs, the horse is always going forward (even backing up). Karen believes the real test of a trainer is the reproduction of the product, be it the horse or the rider. The Double Bar KZ Ranch is just hitting a production stage of breeding, specifically designed for this sport and is starting to have horses available to the public.